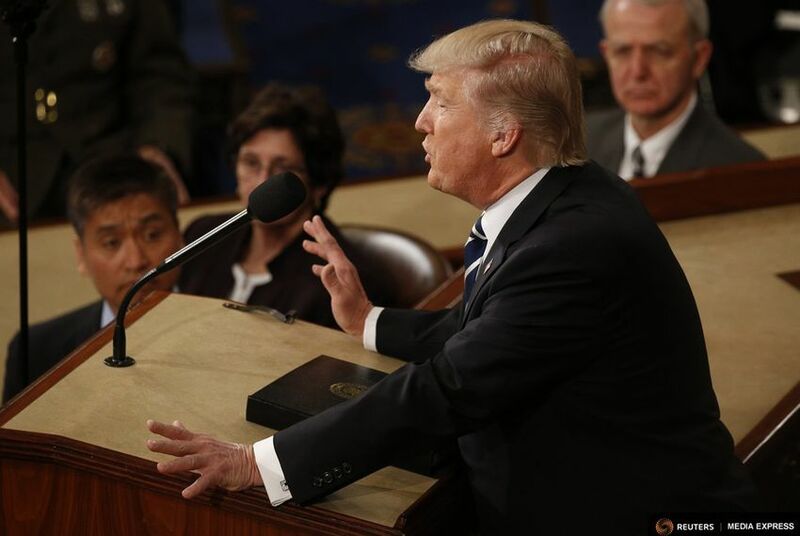 Days after the White House released a one-page wish list on what it wants to see included in immigration legislation, President Donald Trump is scheduled to deliver his first State of the Union speech where that policy is expected to be at the forefront of the agenda. That will have some Texas lawmakers and other stakeholders watching closely to see if the president sticks to those guidelines or decides to throw the country a curveball in hopes of garnering more support for the proposal. On Castro’s guest list for Tuesday’s event is an undocumented University of Houston student whose future largely depends on what, if anything, Congress can come to a compromise on in the coming weeks. The White House’s proposal included a framework that would give legal status to roughly 1.8 million young undocumented immigrants, commonly referred to as "Dreamers." It would include a 10- to 12-year path to citizenship “with requirements for work, education and good moral character,” according to the White House’s proposal. But it also includes provisions for a $25 billion trust fund to bolster border security, including money to build a wall on the southern border and to streamline the country’s entry-exit systems at the ports of entry. The policy also called for major rollbacks of current immigration policy, which the Cato Institute reported would result in a 44 percent drop in immigration over the next year. That has some Democrats proclaiming the proposal dead on arrival. “We cannot allow the lives of young people who have done everything right to be used as bargaining chips for sweeping anti-immigrant policies,” said the chairwoman of the Congressional Hispanic Caucus, U.S. Rep. Michelle Lujan Grisham, D-N.M.
Castro said that he is not on board with the current framework and would vote against the plan if it went to the House floor. But he said the silver lining is that it’s a starting point and Tuesday night should give a glimpse on whether the president is intent on sticking to those requests. Democrats aren’t going to be the only ones taking notes, however. Some hardline Republicans will likely be watching whether or not the president speaks to immigration issues they said were left out of the White House's proposal. In a statement issued last week, U.S. Rep. Lamar Smith, R-San Antonio, said the plan fell short on several key issues he has been championing for several years. The president has reportedly acknowledged that to get any immigration legislation to his desk, he’ll need to make overtures to Democrats. "We’re going to get something done, we hope bipartisan," Trump told NBC. "The Republicans really don’t have the votes to get it done in any other way. So it has to be bipartisan." U.S. Sen. John Cornyn, R-Texas, said he was hopeful that the immigration debate and eventual compromise could be a catalyst to more productivity this year. “Call me old-fashioned, but I do think there should be a time for elections and there should be a time for governing," he said. "This is an opportunity to govern in that broad middle ground." While Cornyn said Trump’s immigration proposal was "exceedingly generous," he disagreed with some of his Republican colleagues who said the plan amounted to “amnesty” for lawbreakers.